In some of my previous posts I’ve mentioned that my family are pretty big baseball fans. Now I will admit we are not actually Chicago Cubs fans, but when they made it into the World Services we couldn’t help but jump on the band wagon. 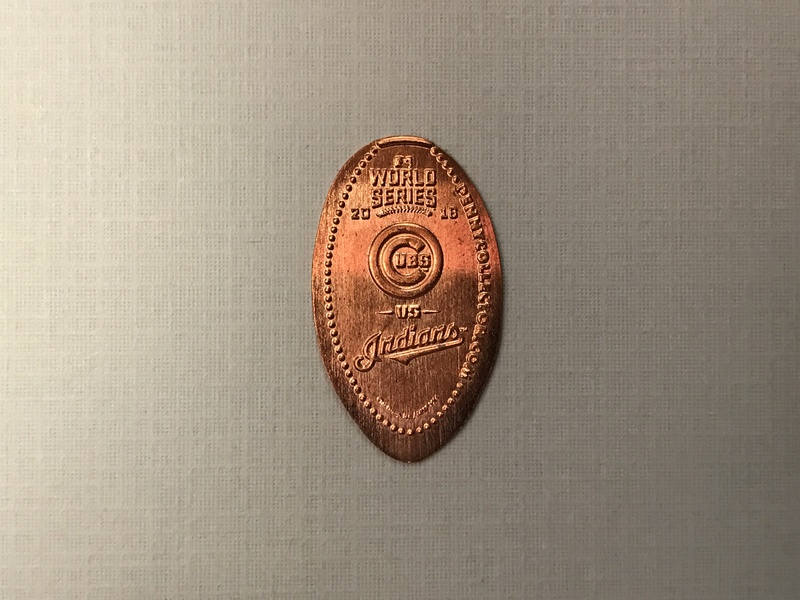 For those of you that may not know the Cubs had last been to the World Series in 1945, and the last time they won was in 1908. That’s a 108 year drought and they finally broke it, but it was a long season and there were some bumps along the way. 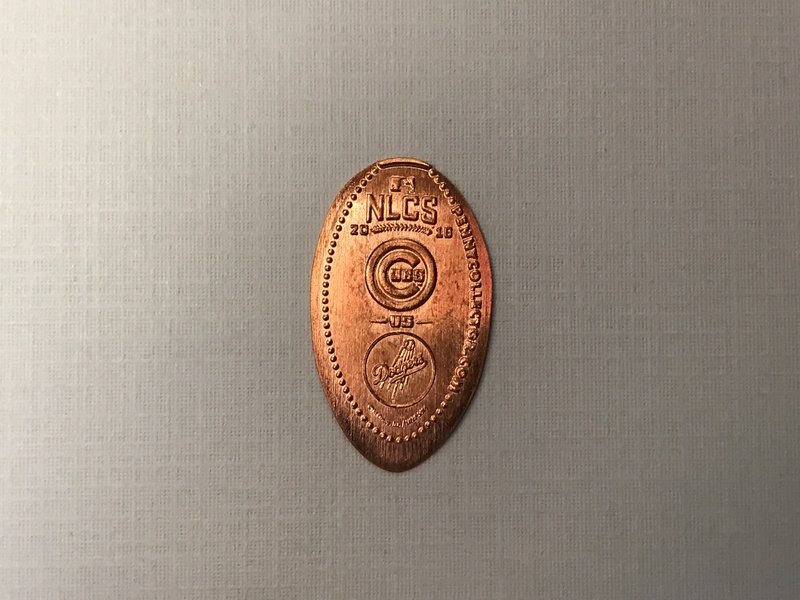 To commemorate their journey the folks over at pennycollector.com put out a special limited number set of pressed pennies for each of the playoff series. When I got the email about this set being made available I quickly headed over to order my set. 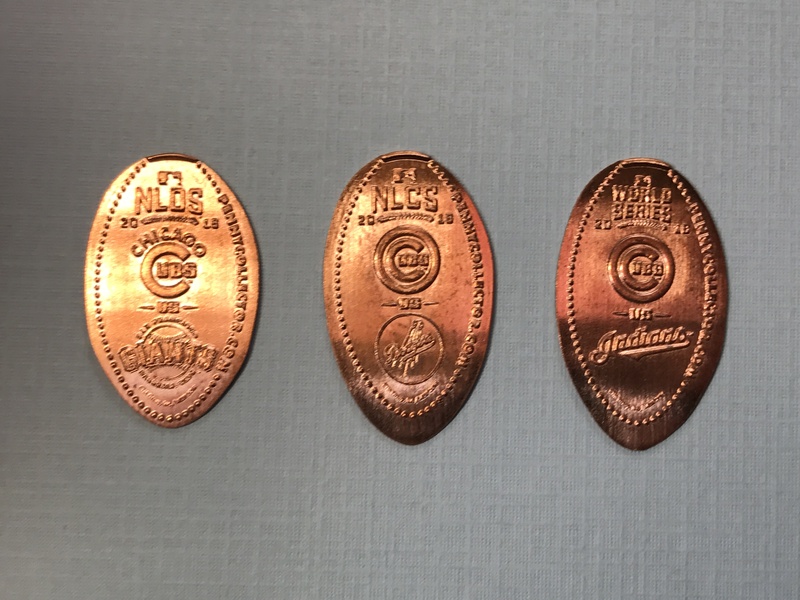 This set includes 3 pennies and I think just make a really cool collectible set for any Cubs fan, baseball fan or just pressed penny fan. 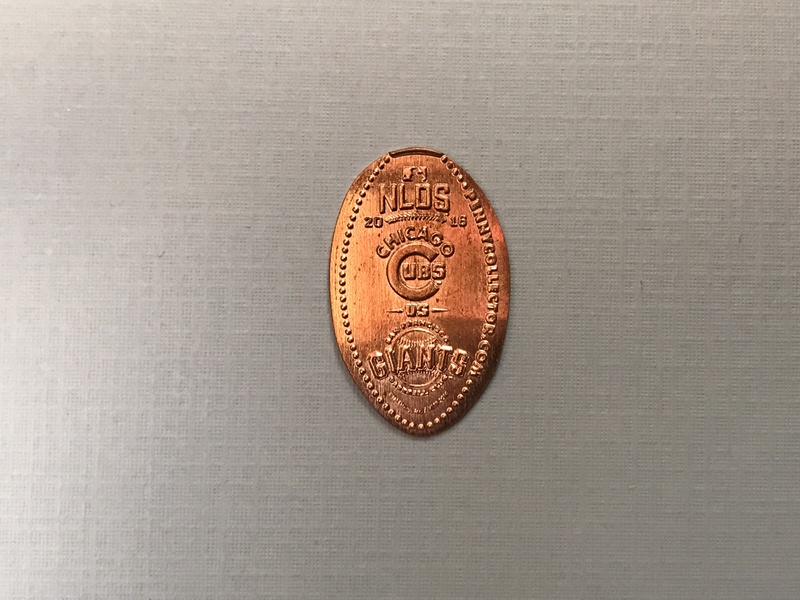 The first playoff series for the Cubs was the NLDS – National League Division Series where they played the San Francisco Giants in a best of 5 series. They bested the Giants in 4 games (3-1). 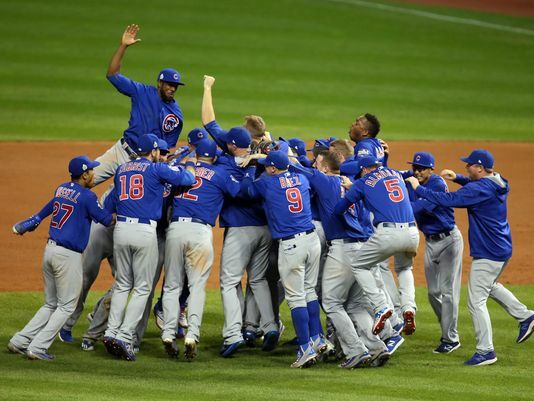 The next series was the NLCS – National League Championship Series again the Los Angles Dodgers. The Cubs won this series in 6 games (4-2). Finally they had made it to the 2016 World Series against the Cleveland Indians. This was a really fantastic series. The Indians went up 3 games to 1 and it looks like the Cubs drought would continue. But they wouldn’t go away quietly and eventually came back and forced a game 7 which is the holy grail of sports events, and to top it all off the game went into extra innings. The Cubs eventually won in the 10th inning with a final score of 8 to 7. What a season they had and were able to win the ultimate goal. Congratulations Cubs fans you’ve waited long enough, enjoy it.